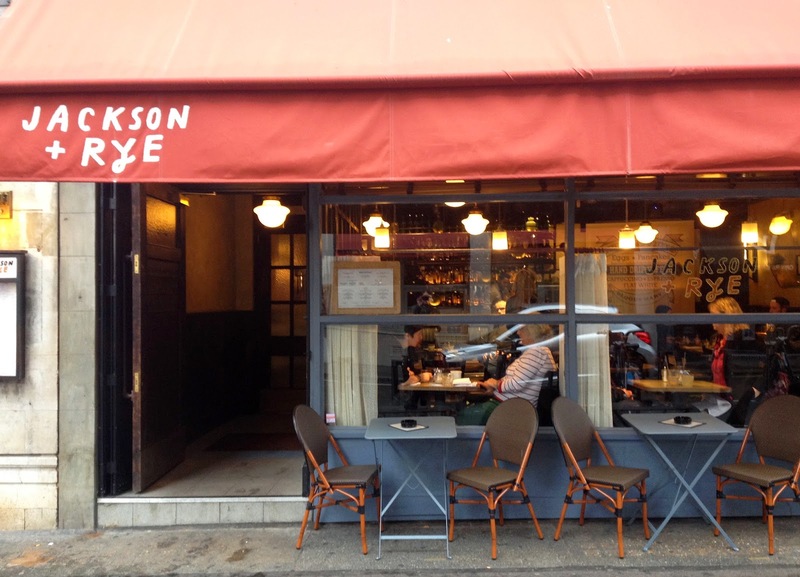 I went for breakfast at Jackson + Rye one drizzly weekday morning when the surroundings of Soho were looking even more little neglected and sorry for itself thanusual. Nestled between empty bars and a stones throw away from Piccadilly Circus, the outside of this American diner was pretty nondescript. I thought it was going to be yet another US novelty with brightly coloured menus and waffles as large as your head. But this was more Delaunay than Breakfast Club. 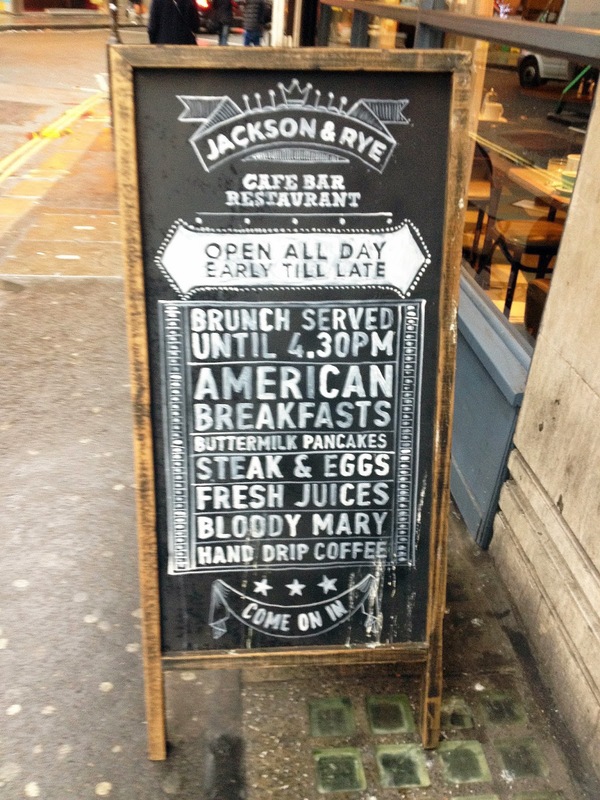 Don’t get me wrong, it wasn’t as posh as the classic Viennese Café - no silver teapots or tuxedo-clad waiters, but Jackson + Rye was definitely a cut above the rest when it comes to American Diners in London. 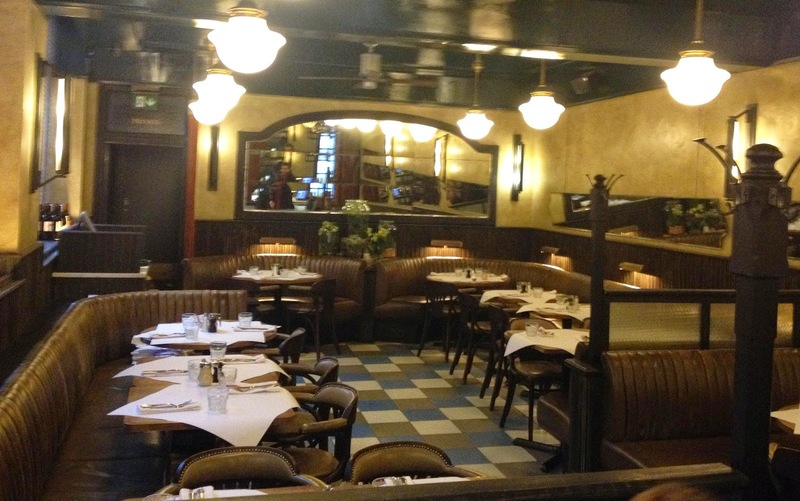 In fact it is probably the closest I’ve come to an American restaurant in the UK, with its dark panelling, leather booths, ceilings fans and soft lighting. 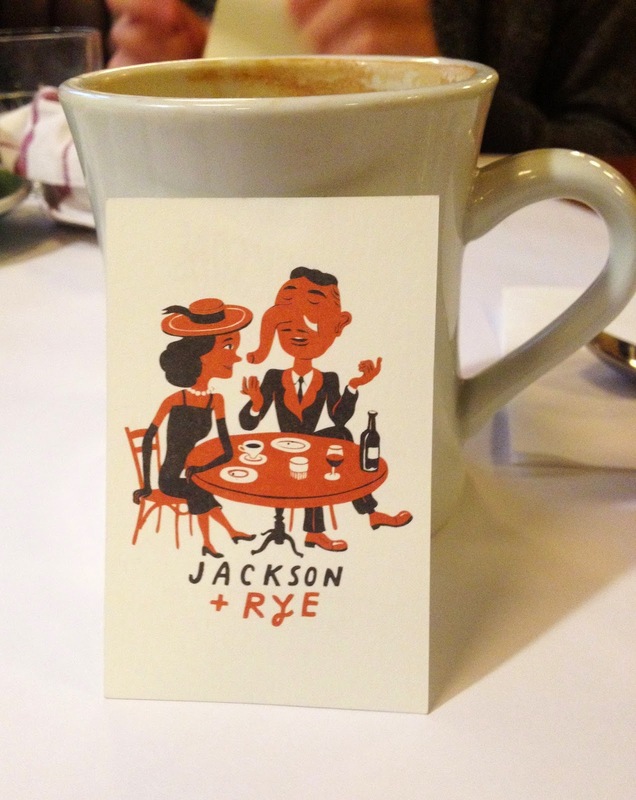 You still had the white diner-style mugs, but instead of a greasy table top and paper napkin holders, there was crisp white linens. 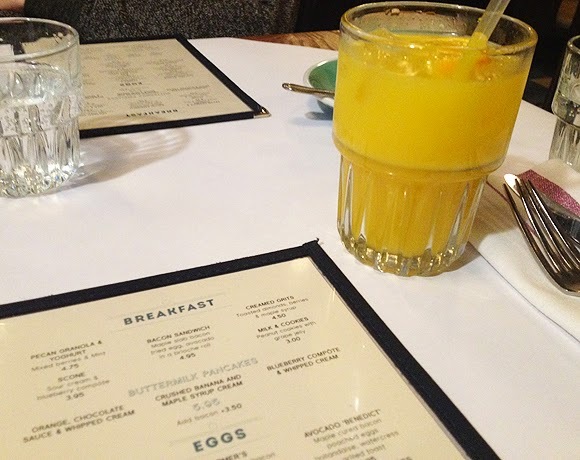 The menu was also sophisticated with the traditional buttermilk pancakes as well as eggs of all shapes and sizes, including avocado royale, prison eggs (scramble eggs with japaleno), anglers eggs (with smoked salmon). 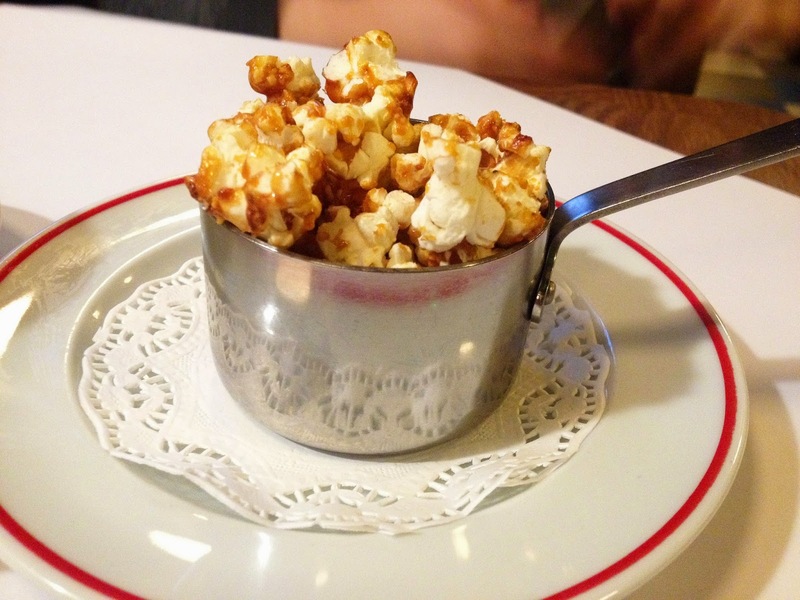 We started off with juices, coffees and a side of peanut popcorn crunch (1.50), which came in a little pan on a dainty paper doiley. 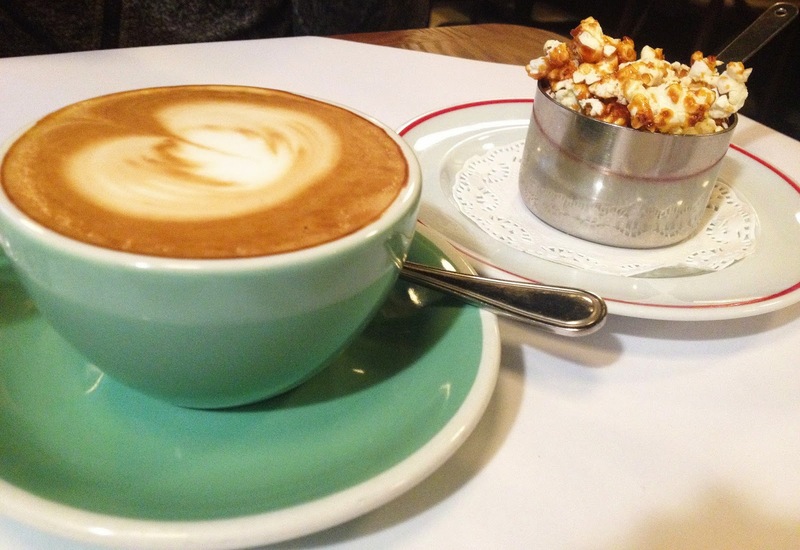 A tasty snack, with a slightly burnt caramel flavour, we tucked in while choosing our breakfasts. After deliberation I decided on the salt beef hash (8.25), while my colleagues chose the avocado benedict (7.95) and the avocado royale (8.50). 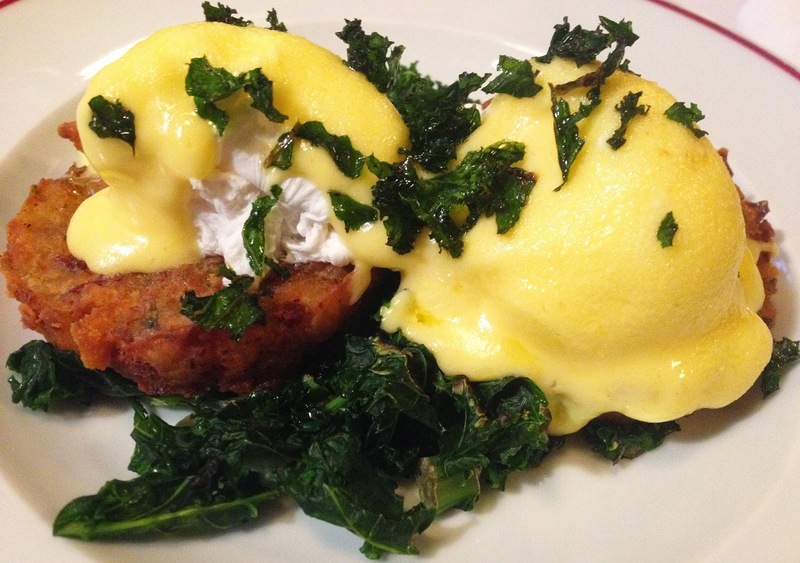 When my hash arrived, I was a little disappointed as I expected to taste more of the shredded salt beef, but it got lost under the creamy hollandaise sauce and poached eggs which were sat ontop of the country style potatoes with a side of kale. At least the kale made me think that the dish was ever so slightly healthy. By comparison, my colleagues' dishes arrived, and I had a little food envy. 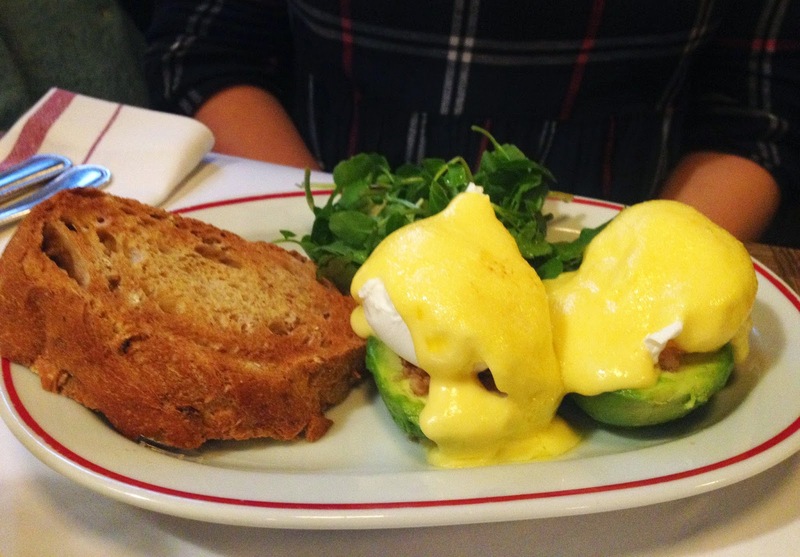 A whole avocado each was filled with smoked salmon or ham topped with two poached eggs and golden hollandaise, served with a side of crunchy grilled toast. From the looks on their faces while they ate, I will definitely be trying this avocado specialty the next time I visit. 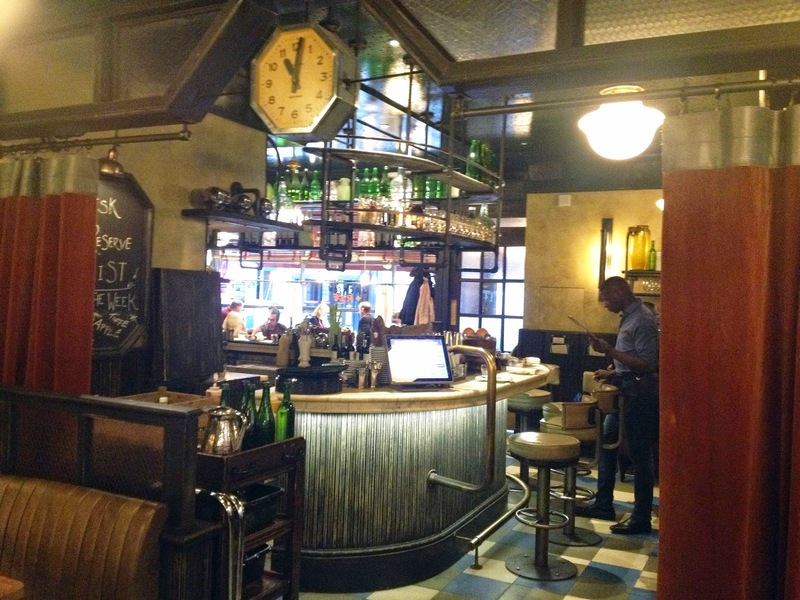 Conclusion - A rare piece of American sophistication in the heart of Soho.